Neven suggested commenting on a news article similar to this one... It is not surprising to read about such an event, refraction is very poorly misunderstood. Even for top notch scientists. steep inversion air layers right off the surface of its ice. 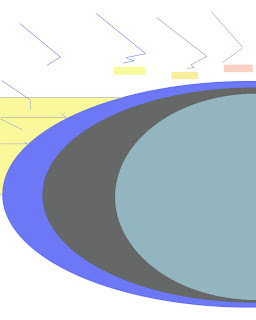 EH2r web page illustrates refraction events, steep air inversions create refraction causing sunrises to shift upwards given the impression that the sun has moved Northwards (to the left by azimuth). However, probable Ilulissat case its not due to bitterly cold air just starting to mix with warm spring sun, its the opposite, extremely warm air over a not as cold as before glacier generating the same surprise. Arctic people have and will observe these events more and more, and its a known effect formed by a great warming just above frozen ground air. A glacier makes refraction effects a certainty, but there can also be a glacier dropping in height or a combination of topography and refraction, but without actual facts its hard to be certain. seems very difficult to pin point exactly the reason for this long night sunrise, a description would suffice, but I have no contacts there, either way Ilulissat case has certainly something to do about warming.